Just about one million international students travel to the United States to attend colleges and universities. These foreign students may need health insurance in order to register for classes and satisfy student visa requirements. Even more important, foreign students need a medical plan to make sure they can access and pay US medical providers. Your own country’s healthcare system may work very differently than the healthcare system in the United States. Without US insurance, you run the risk of generating huge medical bills if you should get sick or injured. Universities may offer health insurance for students: The school may offer group insurance and include premiums in the bill for tuition and fees each term. Students can also buy private international student health insurance online: We can help you compare, buy, and print proof of insurance right from your computer. Most American health insurance policies offer very limited or no coverage outside of the US. You can purchase international student or scholar insurance for students, scholars, spouses, and dependents. This kind kind of coverage for U.S. residents who travel abroad can last for a minimum of 30 days and get renewed for up to five years. Long-term stays in foreign countries may exempt you from the ACA mandate. If you just plan to stay overseas to study for a month or so, you might purchase this kind of international student coverage to supplement an American major medical plan that doesn’t cover you outside of the US. You can shop for student travel insurance for Americans abroad right here on our website too. 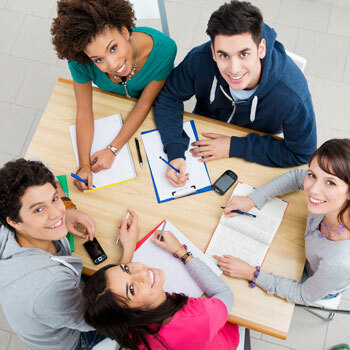 Why Consider Our Online International Health Insurance for Students? You might choose one of the student health insurance plans we offer online as an alternative to your school’s plan. The benefits may be different than you’re school’s policy, but there’s also a very good chance that the top insurance companies here can offer you lower premiums. After you buy your student health policy online, you can simply print your proof of insurance and present it to your school to get group insurance premiums deducted from your tuition and fees bill.